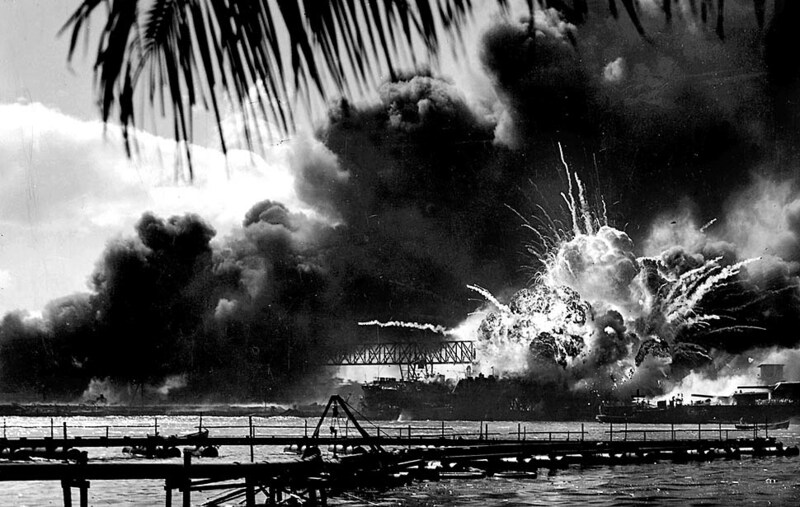 December 7 marks National Pearl Harbor Remembrance Day. Last year, Channel One News visited Pearl Harbor to commemorate the 75th anniversary of Japan’s infamous attack on the U..S. Naval base in Pearl Harbor, Hawaii — an event that plunged the United States into war. 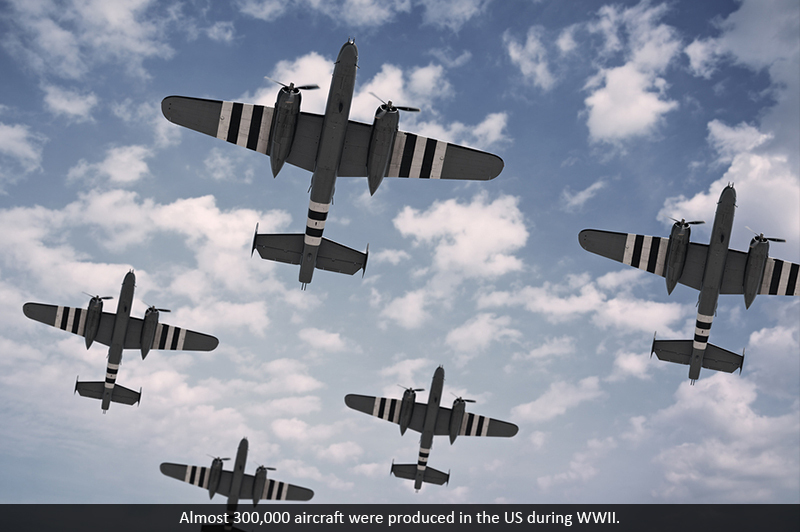 About 16 million Americans served in World War II, but only 620, 000 veterans are still alive today. Teach your students about the “Greatest Generation,” and learn about one teen’s nonprofit mission to preserve their stories for generations to come. List all of the details you notice in this photograph. 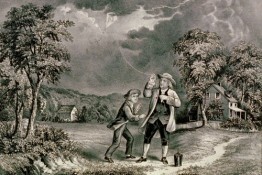 Based on these details, what historic event do you think is depicted on this photograph? Why? Why is it important for young people to understand historic events such as the bombing of Pearl Harbor? What are some ways young people can learn more about historic events like this? If you’re at least 12 years old, your generation is the millennial generation. That’s because you were born around the year 2000. Before you came Generation X. The X indicates that this generation is not known for anything in particular. The baby boomers came before Generation X. They were born soon after World War II. The world was safe again, so families had many babies. The boomers are known for their large numbers. 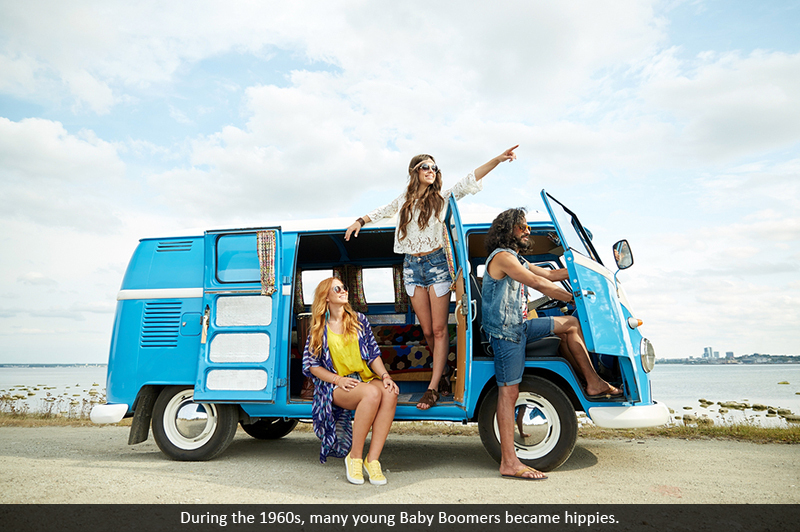 In the 1960s, many were hippies. Later, some became yuppies. The Greatest Generation came before the baby boomers. Why was it great? This generation fought World War II! Before that they survived the Great Depression. 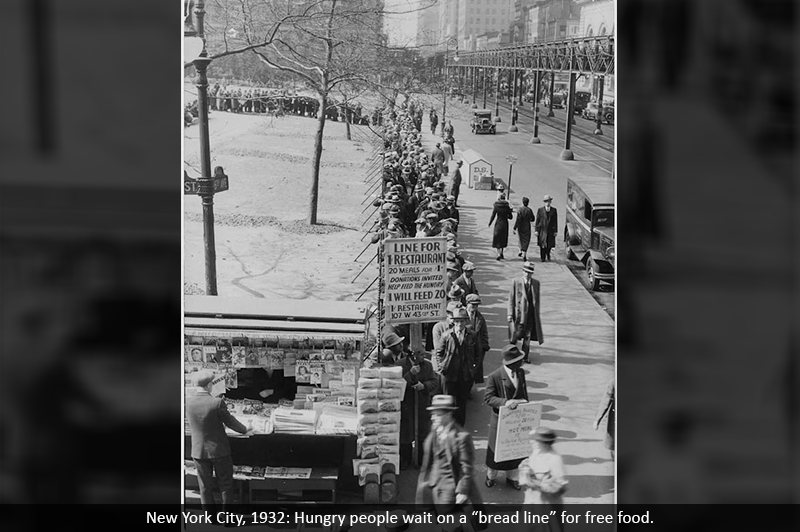 The Depression was a severe economic downturn that began in 1929. Fifteen million Americans were unemployed. Times were hard. But the Greatest Generation found ways to get by. Neighbors shared food and helped each other out. People took any job they could find. Millions of Americans rode freight trains around the country in search of work. The Depression ended when World War II began. People found work manufacturing armaments and other supplies for the war. The Greatest Generation contributed to every aspect of the war effort. Sixteen million Americans served in the military. Hundreds of thousands died. Back home, people grew their own food and collected metal for manufacturing. 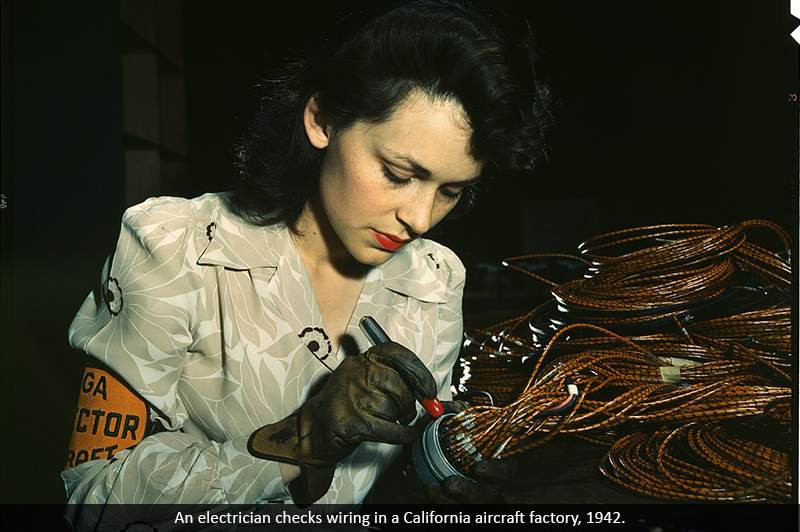 With so many men at war, factories experienced labor shortages. So millions of women went to work in defense plants. They built the machinery that helped win the war. 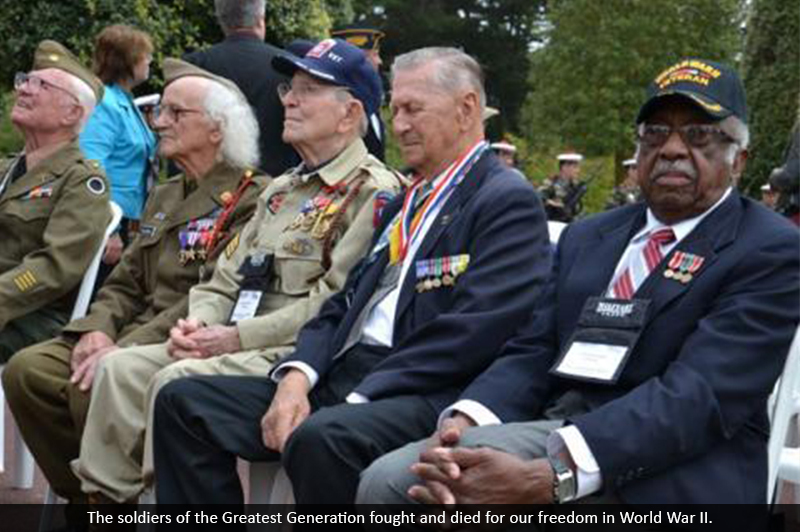 Why does the “Greatest Generation” have that nickname? What does Rishi hope to accomplish with his website and nonprofit? Do you think he will be successful? Why or why not? What types of information could you expect to find on Rishi’s webiste?What could you learn from Rishi’s website and nonprofit that you could not learn from in class or from a history textbook? Rishi Sharma says World War II veterans are “walking history books.” Write a new chapter for your school’s history textbook about the Greatest Generation. Include relevant information from the videos, slideshow and your own ideas to complete your response. Direct students to the National Archives website. 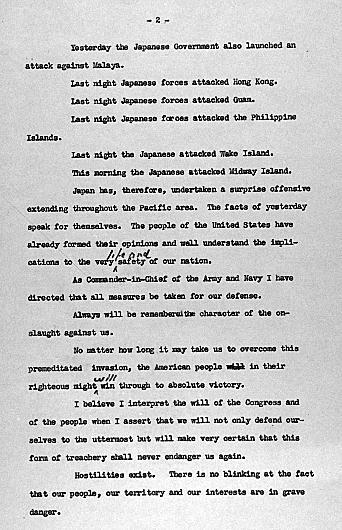 Have students listen to an excerpt of President Franklin D. Roosevelt’s famous “Day of Infamy” speech. 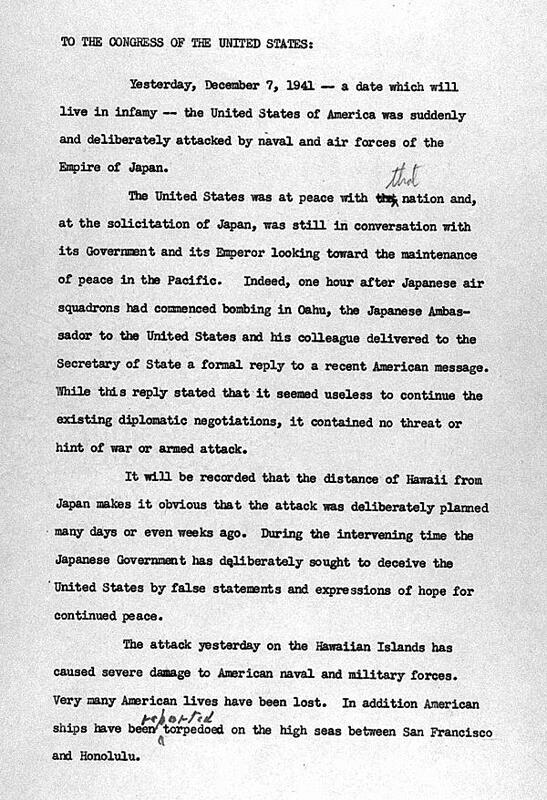 Then, have them read the primary source document of President Roosevelt’s typed pages with handwritten edits. If pages are not easily legible for some students, they can read the speech here (PDF). Who is the author? Who is the intended audience? When was it written? Where was it written? 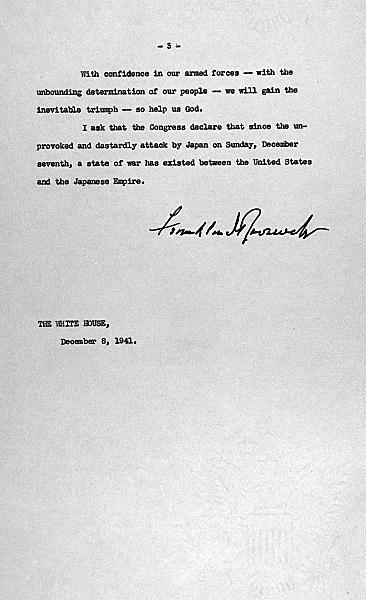 What was happening at the time in history that this document was created? 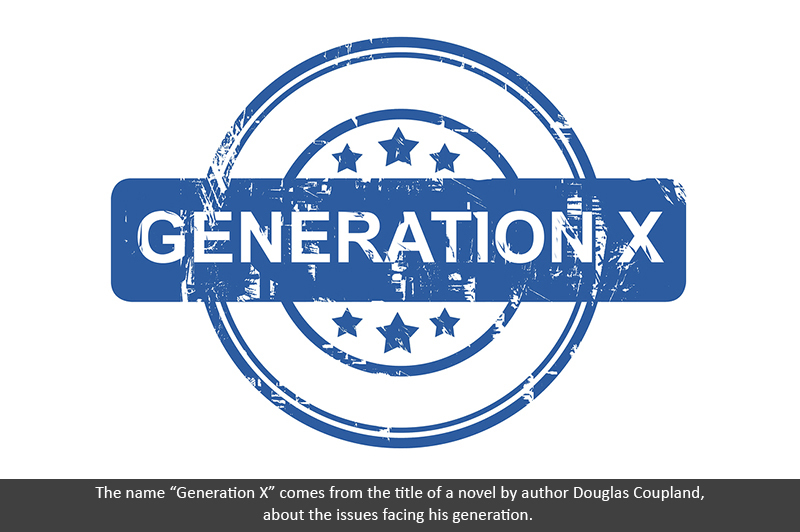 Does the Greatest Generation deserve its nickname? Why or why not? Subscribers to Channel One News Premium get access to the daily show in an ad-free environment, along with daily lesson plans, as well as our Video Library of more than 3,000 videos with transcripts and curriculum. Learn more and subscribe today!